Every year I say I’m going to do it, but this year I finally made my own elderberry syrup! I’ve long heard about the benefits of elderberries (otherwise known as sambucus) for boosting the immune system, treating the flu, even fighting cancer. * Last winter we gave the kids store-bought syrup to support systems during cold and flu season. This summer I finally went for it and made my own. There are several elderberry shrubs growing near our home and they are ready around the same time as the blackberries. I thought they would be difficult to harvest because they’re so small, but it turns out to be a fairly easy job: just pick off them off by the cluster, then comb your fingers through the clusters and most will fall off easily. Remove any stems, unripe or overripe berries and you’re ready to go. Eaten raw they’re pretty bitter, but both of my kids had quite a few tastes as we were processing them. 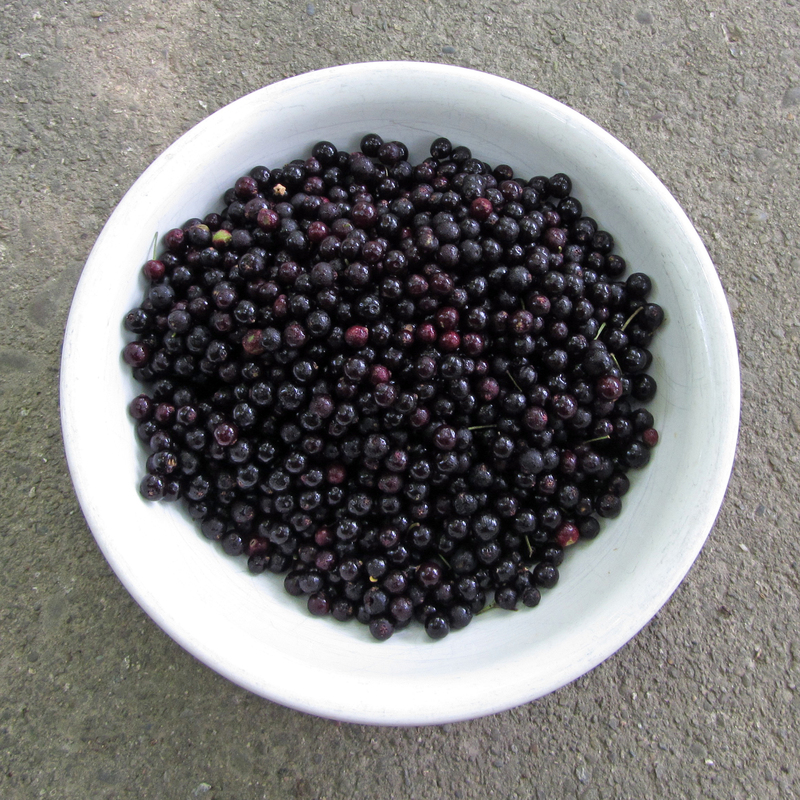 However, I’ve read that eating too many raw elderberries can cause an upset stomach, so we didn’t let them overdo it. I followed a recipe by Rosemary Gladstar that I found at 5 Orange Potatoes. Basically you boil then simmer the berries, press, strain and add honey (check out the link for the full recipe). The berries smell amazing as they’re cooking-sort of like blackberries but with a slight floral scent. I tried using half the honey and the flavor/sweetness already seemed strong enough to me. Some recipes call for sugar but white sugar is supposed to suppress the immune system, so that seemed counter-productive. I was able to get 2 cups from the recipe for the cost of a half-cup of honey (the store brand of elderberry syrup sells 1 cup for about $13.00.) I wouldn’t consider this syrup recipe to be something I’d want to pour over pancakes, but my kids and I would gladly take it in small amounts as a supplement. I froze the syrup in 1/4 pint jars. 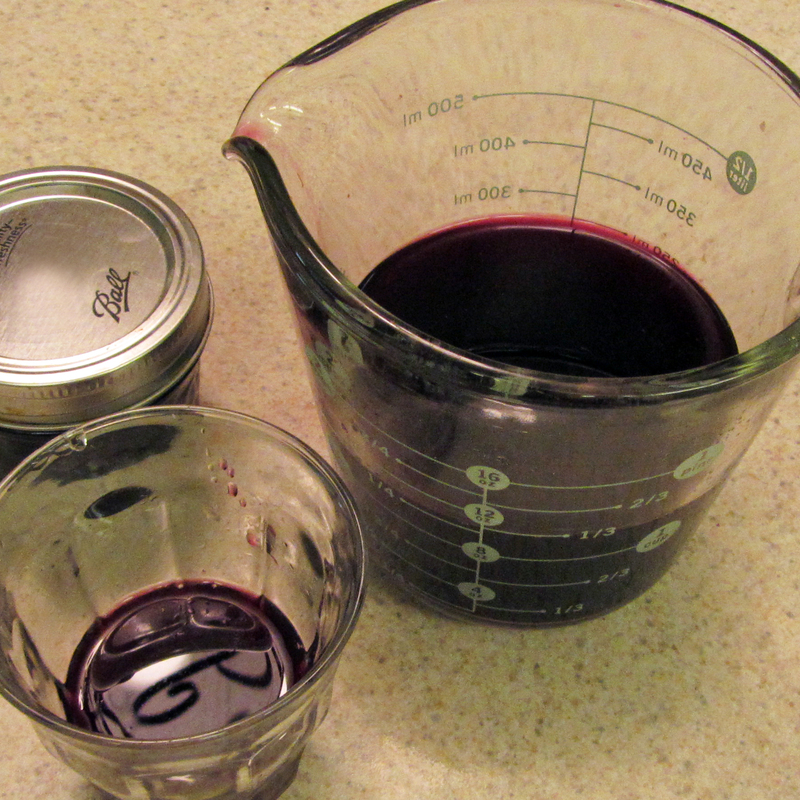 I’d like to try my hand at elderberry jam as another way to preserve and consume the berries during the winter months. I’d also like to try combining elderberry juice with grape juice as a sweetener. I think it might be a better complement for the berry flavor. Anybody have a favorite elderberry recipe to share? *Disclaimer: I am not a health care professional or trained herbalist and am not qualified to give medical advice. Plantain is one of those highly-useful herbs commonly considered a weed. Once I learned to recognize it, I started seeing it everywhere, which is great because it is SO useful. The leaves can be chewed or otherwise pulvarized and applied to all manner of stings, bites and rashes. First we picked a quantity of nice, healthy leaves and washed them. Then we packed them in our blender with just enough water to blend. We poured this mixture into ice cube trays, filling them about halfway full (you don’t usually need that much a time.) Once frozen, we popped them into freezer bags for storage. I’m thinking that once they’ve melted the plantain can be used to make a poultice if extended treatment is needed. Anybody ever tried this before? Do you a great plantain salve or tincture recipe to share? What are your favorite go-to herbs? 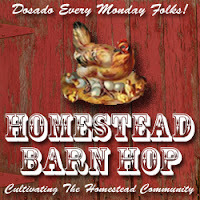 This link is part of the Homestead Barn Hop at Homestead Revival. Follow this link for more great homesteady inspiration!